In my first 10 months at PRA, I have gone on business trips to Alaska, Maryland, Massachusetts, Missouri, Oregon, Tennessee, the U.S. Virgin Islands, and Wyoming – and I travel relatively infrequently for the SMVF TA Center. Through these trips, I have seen so much of America, and so many of America’s airports. I’m one of the oddballs who loves traveling, and spending time in security lines and boarding areas has never bothered me. 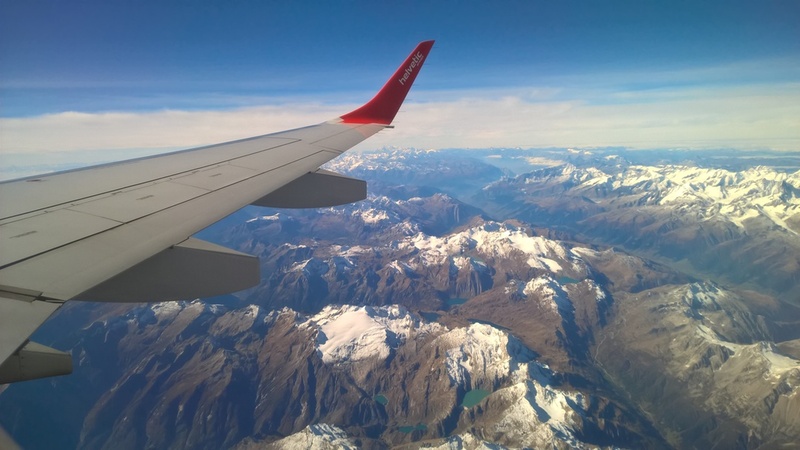 I love walking around airports and seeing the multitude of destinations that are available–Hong Kong, Phoenix, Caracas, Dubai, or London–we can go virtually anywhere and the airport is the first step on that voyage. Baltimore – BWI: BWI seems to have really tried to make the airport feel like an upscale “experience” for patrons through the cultivation of higher priced shops in airport. Walking through the terminals, you’ll run into Swarovski, Brooks Brothers, Kiehl’s, a Polk Audio showcase, and many more higher-end brands. While I do love all the shopping options, my favorite “hidden” piece of BWI is the BWI Cardio Trail, two 1-kilometer walking trails that loop through the airport. Each trail is marked with overhead signs, making them easy to follow even when the airport is busy. It’s nice knowing that there is a set route to help you fit in some exercise on a travel day. Chicago – ORD: Every single time I fly through ORD, I will make a stop at Rick Bayless’ Tortas Frontera. This shop has incredible tortas (Mexican sandwiches) and molletes (open-faced sandwiches), as well as guacamole, aguas frescas, and desserts that will turn any grumpy traveler into a happy one. Tortas Frontera also lists out (in large font) its food purveyors, all of whom are located in the mid-west, most within a one-state radius. I’m also partial to the chocolate covered pretzels from Nuts on Clark! Detroit: I feel like DTW gets a bad rap, but I never understood why. I like how large and spacious the airport feels, and I LOVE the underground Light Tunnel that you walk through to get between terminals – the tunnel plays soothing music alongside a choreographed light show (there’s also one at O’Hare). I am also a big fan of the airport’s Coffee Bean and Tea Leaf, solely based on the shape of the ice that is used. It might sound weird, but it adds a whole new flavor dimension to an iced coffee. Philadelphia: The best thing about the Philadelphia airport? Potbelly Sandwich Shop! Potbelly is probably my favorite fast-food sandwich shop in the world due to the food quality and the incredibly cheap prices (which hold up in the airport, giving it extra points in my book). The staff makes sure that you are in and out of the shop in 8 minutes or less, to help ease your anxiety about missing your flight. If you want to really treat yourself, get a milkshake – they are mind blowing. These favorites were acquired from lots of layover wanderings. The next time you go to the airport, I urge you to explore past your gate number; you never know what you’ll find!